I have developed this (irrational?) fear of the wind. 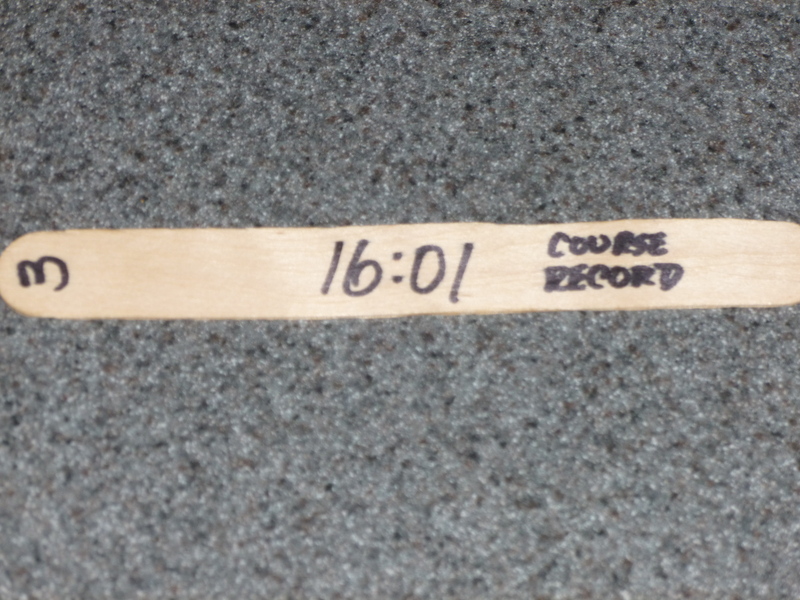 I can trace its roots back to last year’s state time trial championship. The one where the start was delayed while an Armageddon-like storm blew through, threatening to lift the registration canopy off the ground even though 6 of us were holding it down. After the storm the skies cleared but the wind remained — strong crosswinds with big gusts on the majority of the course. I don’t know how high the gusts were, but they were high enough to make me afraid riding the TT bike. Several times I felt like I was on the verge of losing control of the bike. Then I was stupid enough to ride it a second time, as part of a 2-man TT. But those kinds of conditions are rare, right? And then this spring happened. For the last month or so it has seemed like every training ride and every race have been battles with the wind. It’s gotten to the point where I’m afraid to train on the TT bike for fear of being blown into passing cars. I just can’t seem to get past that phobia, with the memory of the state TT flashing in my head. Last week I did the Presque Isle TT. It’s right on Lake Erie. Which makes the wind even worse. Warming up, it didn’t seem too bad. I thought I could handle it. Then at about mile 4 the course was exposed to the open water. A nasty crosswind was coming from the right, with pretty big gusts. Bad enough that I couldn’t stay down in the aero bars. Well, I could have stayed in the aero bars. Other people did. But I just couldn’t get past that fear of being blown over, or blown over the yellow line. So I rode about a mile and a half sitting up, until the course turned away from the open water. Which didn’t help my time very much. This bugged me all the way home. So much so that I got back out on the TT bike and rode another 2.5 hours in the wind, to convince myself that I could do it. Which I could, but I also wasn’t using the TT wheels. I’m wondering what to do about this. One option is to just get fat so the wind will have a harder time blowing me around. When they published the schedule for this year’s USA Cycling Masters Nationals, I felt the heads of hundreds of masters racers shake in unison. Why would anyone schedule the road race (for the biggest fields) the day before the time trial? The answer that came back was: we’re trying to minimize people’s travel expenses. Guys like me were then faced with a decision: do the road race and likely lessen your chances in the time trial? Or skip the road race and put all your eggs in the TT basket? Or just do the road race and forget the TT? I waffled. After finishing 5th in last year’s TT then crashing in the road race, I was looking to place better in both events. Even after signing up for both, I waffled. After a good ride at the Ohio state TT championship (3rd overall), I waffled more. Thurlow Rogers (winner the past 3 years) was not signed up. This could be a real chance for a top 3 in the TT. The road race is more of a crap shoot; you never know what is going to happen. Why not focus on the TT – the race where you can most control your outcome? Either way, I knew there was a good chance I’d end up regretting whichever decision I made. I hate that feeling. In the end, I decided to do both races. I told myself I would do the road race without worrying about saving it for the next day. It didn’t work. Three riders got away 5 miles into the race. One of them was one of the “danger men” I planned on watching. But I was trying not to do too much work too early. They stayed away, subsequent attacks were chased, no chase could get organized, and I decided to stop with 5 miles left to start recovering for the next day. It felt like a wasted effort. Not how I like to race. The next morning my legs felt decent considering the minimal recovery time. And I had a decent ride. I felt like I got pretty close to the right pacing, considering the hilliness and having ridden the course only once beforehand. But when I crossed the line and saw my time, I wasn’t too confident of making top 3, let alone top 5 again. Yes, regret is a cruel emotion. Someone recently told me that riding a time trial is like riding a knife’s edge. Just a little too much in either direction and you fall off. This is one of the aspects that attracts me. The time trial is known as the ‘race of truth’: there is no drafting, no wheels to follow, nobody to hide behind. But it’s not pure strength. The guy with the most watts doesn’t necessarily win. You have to optimize the watts that you do have, with your pacing with with how aerodynamic you can make yourself. A common mistake is starting out too fast. You’re on the start line with someone holding your bike by the saddle, the clock is ticking down, and your heart rate is already spiking from the adrenaline. You blast off from the line like it’s an 8km prologue. Only you have 40km to go. You feel strong those first 5 minutes … and then you hit the point where your legs feel like tree trunks, your pedaling goes square, your arms start to tingle, and you know you have gone out too fast. I know all this. Yet I still do it. It happened to me recently at the Groveport TT. I left the start, into a headwind, and felt good. In the first few miles I was already catching rides in front of me. That should have been a clue. With about 10 miles to go, I suddenly became aware of the feeling: I need back off and recover. From that point to the finish it was a matter of damage control. Riding to limit the damage is not the optimal way to finish. Nor is it enjoyable. You’re dying horribly, but you still have to ride yourself to the finish without totally giving up. The worst thing is that it plants a seed of doubt. You line up for the next TT, and now you have to deal with the memory of that experience. You know you can’t go out too fast. But now do you overshoot to the other side and ride off the knife’s edge? And how will you manage it when you know that starting 1 minute behind you is the winner of multiple national championships? Yes, that will be the situation at the state TT. Mind games. Yogi Berra said, “90% of baseball is mental; the other half is physical”. Like many other “Yogiisms”, though logically incorrect, this one has an odd, zen-like quality. He could easily be talking about riding time trials. You might have a good engine but if you don’t master the mental aspect, then it’s just … suffering. Actually it’s suffering in any case, but the ideal is to optimize it: just the right amount of discomfort over the given distance. Go out too fast and you die a horrible death. Go out too slow and you kick yourself for having “too much in the tank” at the end. Learning how to do that takes some practice. The problem is: who wants to practice suffering? Bike riding is supposed to be fun. Why would you want to get on a bike just to ride until you feel like crap? Fortunately (I suppose) the human mind is sometimes able to fool itself. There are a few tricks that, if nothing else, make the TT training doable. Thinking about this, here are the top tricks that seem to work for me. First is to find a good stretch of road. Some roads just seem better for TT training. If I’m going hard and am constantly being buzzed by cars, or have to dodge bad pavement, then I get annoyed, get distracted, and then just think about how much I want to stop. Once I find a good route, then it just feels like a TT route. It feels right to go fast. Everyone I know who TT’s has some kind of data that they look at. Ideally that’s a power meter. But a heart rate monitor, or even watching speed over a known course seems to work. Besides being an essential training tool, it’s an additional point of attention away from the discomfort. Maybe the best trick — for me anyway — is to do some training TT’s. Like the Thursday night TT in Leroy Township. Once you know that someone is recording your time, and know you’re in competition with other riders, a switch goes on and the suffering is in a completely different context. Now the fear is that having thought about and exposed the tricks, will they still continue to work? Saturday night, stay home instead of going out. Pass on drinking that glass of wine. Go to bed at 10, anticipating the shock of the 5:30 AM alarm. Wake up bleary-eyed, down half a pot of coffee. Force yourself to eat though your stomach is saying, “not this early”. Head out in the early morning darkness to drive 80 miles to Erie, PA. Hope that the caffeine will kick in and keep your car from drifting into the rumble strips. 90 minutes later scramble to pump tires, pin on numbers, get dressed, use the beach-house john that’s already seen way too many visitors this morning. Finish off the espresso shot. Prepare for the discomfort to come. With some luck, it will be around 26 minutes of suffering. The harder you ride, the more unpleasant it will be, but also the sooner it will be over. It’s comical to pay to do something you wish was over as soon as it starts. At the Presque Isle fall time trial, there were 140 people willing to pay for the privilege of suffering while riding the 12.5 miles around the peninsula. These were not all hard-core racers, either. The ages ranged from 11 to 75. Bikes ranged from full-on TT bikes to knobby-tired MTBs. You have to love that. Standing around afterward, it’s interesting to hear riders’ perceptions of their rides. Some of us, again, made the mistake of paying attention to the misplaced (and then missing) mile markers. Some (Ray H) seem to have a computer running in their heads the whole time. We concluded that if you’re thinking that much, you’re wasting watts. And if you’re thinking clearly at all, you’re not going hard enough. You also have to love that the rain held off until the very minute they finished announcing results and handing out the plaques — especially since everyone was huddled around the organizer’s laptop looking at the results (the printer wouldn’t work). THAT was a sight worthy of a picture.